The Mobile Cooling Division at Alpha Energy Solutions provides service 24/7. 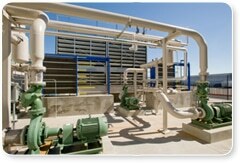 Moreover, our expertise includes large and small projects in a wide-range of markets. In addition, we have over 100 years of combined field experience and our factory-trained technicians are well-equipped to handle all aspects of commercial and industrial Mobile Cooling requirements.In fact our professional technicians are knowledgeable on all major manufacturer brands. As a result we are able to provide top-notch selection to all of our industrial and commercial clients. In addition to our field experience, we are capable of handling units of all sizes. Our mobile cooling units vary from 1 ton to 400 ton units and as a result they are ideal for scheduled outages and emergency cooling. In addition, if you have planned outdoor events, Alpha Energy Solutions can help you select the best mobile cooling unit. Service and selection does not end with only with your purchase. Finally, consider the case of the Kentucky Speedway. With thousands of racing fans expected to arrive early to enjoy the pre-race festivities, the Speedway called on Alpha to bring in several mobile cooling units because they wanted the conditions inside of the tent to be comfortable. The temperatures were in the 90s therefore it is easy to understand why a cooling unit was necessary. Our service professionals are standing by to assist with your cooling needs. Rather than navigate the challenge of selecting a unit, contact our service professionals for help. For more information on how Alpha Energy Solutions can meet your Commercial or Industrial HVAC Service needs, call us toll free at (888) 212-6324 or click here to contact us.